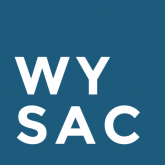 The survey is administered by WYSAC under contract to the North Dakota Department of Human Services. The survey will measure community and state level attitudes toward drugs and alcohol use and abuse and public support for drug and alcohol abuse prevention initiatives. The results will be compared to the identical survey conducted in 2015 to measure change over time, and will be used to inform policy making efforts and to provide information to the public in social marketing and public service announcements. The survey is conducted using a mixed mode of survey administration where respondents are given the opportunity to complete the survey online, or using a paper survey sent via USPS.